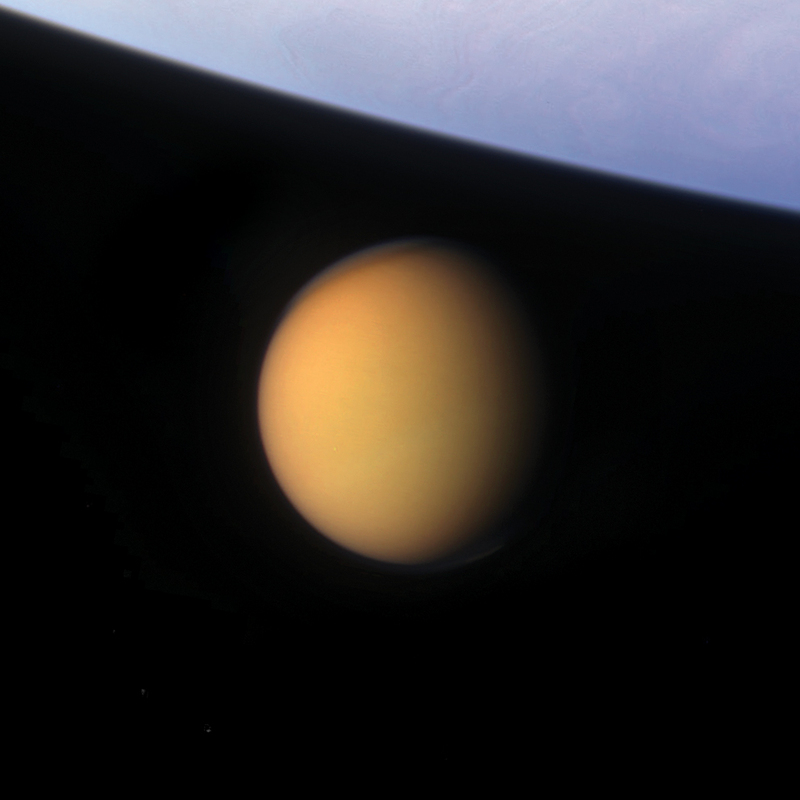 The pumpkin-orange colors of Titan’s thick clouds appear in stark contrast in front of the limb of Saturn, which appears quite blue along its sunlit limb due to Rayleigh scattering, the same process that makes the sky look blue here on Earth. The image here is a color composite made from three separate raw images acquired by Cassini on July 1, 2012. Captured in red, green and blue visible light wavelengths, when combined the result is a more-or-less true color image as our eyes might see it. The final image was rotated to make the angle of sunlight come in from the left horizontally, and I teased out some detail in Saturn’s atmosphere. Cassini was over 1.7 million miles from Titan when the images were captured. On a related note, today another Saturn/Titan color composite I assembled in May was chosen for the popular Astronomy Picture of the Day page, or APOD as it’s known. Check it out here. The image first appeared on Universe Today on May 11, and was thereafter picked up by ESA and from there made its way to APOD. Very cool! Next Post Hit The Slopes!